The common perception of Millennials conjures up latte sippers and job hoppers, but according to former CEO of Yum! 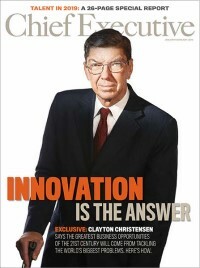 Brands David Novak, Chief Executive‘s “2012 CEO of the Year” honoree and “guru of fun,” that is just not the case. His experience running a global company showed him Millennials aren’t aimless, they just keep moving until a leader sets them on fire. It is why he calls them the most misunderstood generation in history. These principles enabled Novak to turn a global organization into a band of passionate believers, and allowed him to take PepsiCo’s spin-off collection of Taco Bell, KFC, and Pizza Hut and transform Yum! Brands into a global powerhouse. Novak believes if we want to engage Millennials, we need to start grooming leaders who understand how to motivate them. To make that happen, he just launched his leadership training startup, OGoLead.com.